The disappearance of No 22, Gardénia, Cuir de Russie, Bois des Iles testers from Chanel boutiques over the past few months has caused some consternation among the lovers of Chanel classics. The good news is that they are back, repackaged in the 200ml bottles for the Eau de Toilette and 15ml crystal flacons for the parfum. I had a chance to test them against the older EDTs and parfums I own, and if any reformulation took place, it was very respectful of the tradition. With minor exceptions, they are fairly close to the older releases, and they are still stunning. Above all, at the moment there are no plan to discontinue the Les Exclusifs parfums. In fact, I was tempted enough to add a new full bottle of Cuir de Russie EDT to my Chanel collection. The drier and more assertive EDT complements the iris heft of the parfum. Adding: the main difference seems to concern No 22, which now has a stronger incense facet in the Eau de Toilette (I have not had a chance to try the new version of the parfum.) In fact, I much prefer it to the bottle of EDT I got less than 3 years ago. Photo of Ernest Beaux, the genius perfumer behind Chanel No 5, No 22, Gardénia, Cuir de Russie, Bois des Iles, Bourjois Soir de Paris. ~vanilla girl~: Now you have my curiosity peeked! I cannot wait to get to the city to try these,especially cuir de russie. 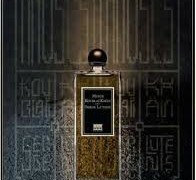 Madelyn E: Bois Des Iles is my most precious jewel in my fragrance collection – and memory. That Chanel has left it relatively unchanged – is ,along with many of your readers, a huge relief. I am curious to retry Cuir De Russie – in the Parfum form. 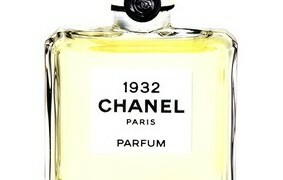 I did add a EDT bottle of Bois Des Iles – years ago during a visit to Chanel’s 31 Rue Cambon boutique. I prefer to dab rather than to spray. Donald: Last Wednesday, one of the saleswomen of the street Cambon in Paris, certified to me that the perfumes (15 ml) Cuir de Russie, Bois des Iles, Gardénia and N°22 were stopped. Only does not remain the EDT!!! Laura: V, this is so synchronistic–I found my bottle of Cuir de Russie edt yesterday in my box of out of season/out of favor fragrances and fell in love with it again. At this point, I much prefer it to the perfume–it seems more modern, less funky, more wearable. I also found a site from which to order samples of the new Exclusifs, as well as No 22, so I’ll be able at last to try them!